amargo, amarga chá. I couldn't stop lololololing xD. Wallpaper and background images in the Avatar: The Last Airbender club tagged: avatar the last airbender. 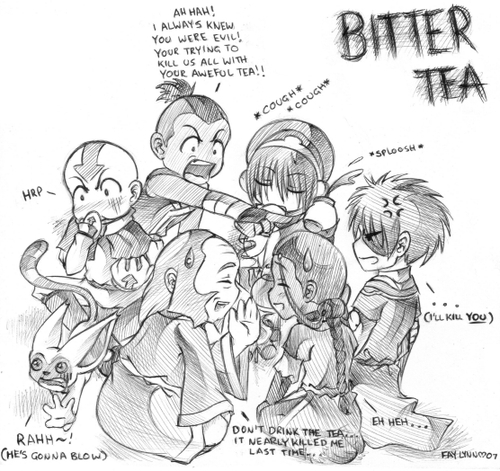 This Avatar: The Last Airbender fan art contains anime, banda desenhada, manga, desenhos animados, mangá, and quadrinhos.